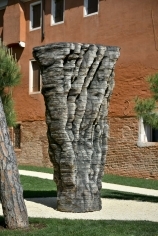 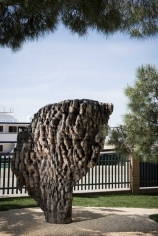 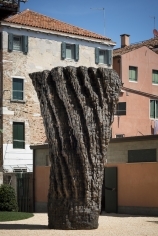 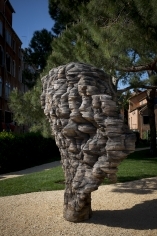 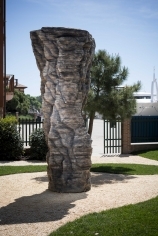 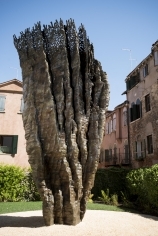 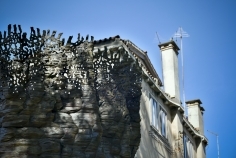 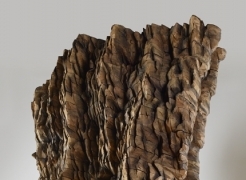 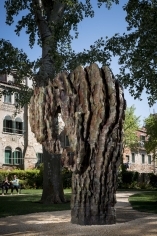 Currently on view at the Giardino della Marinaressa is Ursula von Rydingsvard in Venice, presented by Yorkshire Sculpture Park (YSP) as an official collateral event of the 56th International Art Exhibition – la Biennale di Venezia. 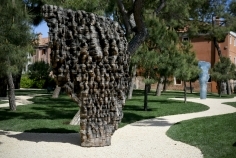 Located in the Giardino della Marinaressa, a public park set on the main walking route between the Giardini and the Arsenale, the six sculptures on view reflect the range of von Rydingsvard’s work across different materials. 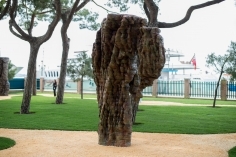 The works have been sited to integrate with the distinctive canopy of pine and poplar trees, the surrounding architecture, and the sea beyond.